Gray matter passion: Cambria Bellingham White Cabinets Backsplash Ideas. Human brain is made of gray matter, which structures the intellectual and creative thinking. Gray matter can be determined when white cabinets and matching backsplash round Cambria Bellingham. In Cambria Bellingham White Cabinets Backsplash ideas, you will find out some natural lighter tone backsplash tiles and some soft browns and cool grays. As a chemical compound, cool grays have some blues in them. This blue reminds me Cambria Praa Sands engineered stone as well. My style of expressing the kitchen remodeling is still same. I would like to touch the material and the characteristics of the backsplash first. Then, I would like to talk about the color and stain of the white cabinets in this article. 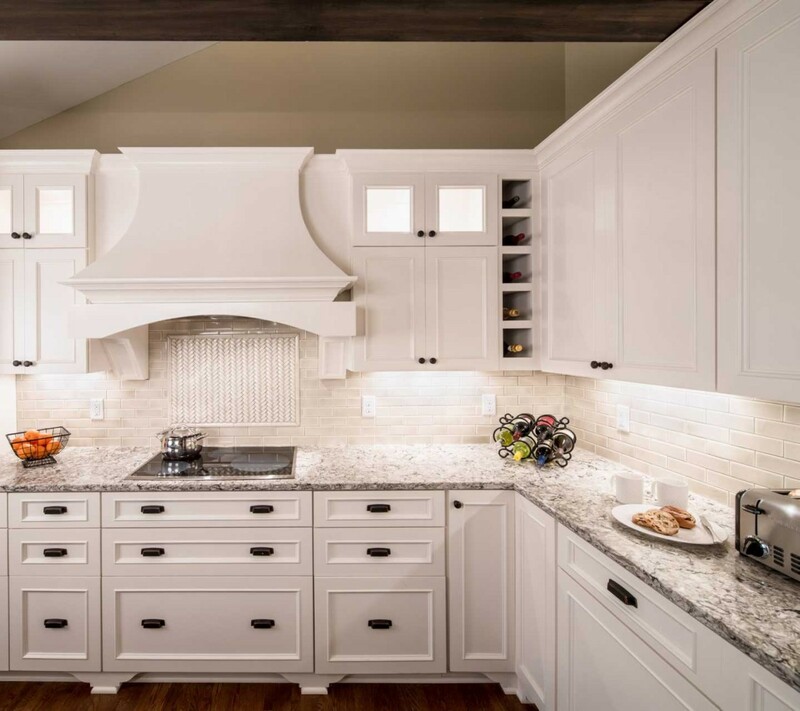 Cambria Bellingham White Cabinets Backsplash Ideas is such a guiding article to visualize your kitchen in your remodeling ideas. The material of the backsplash can mostly be ceramic, glass and travertine. The type of the backsplash tile would be simple like rectangles; subway, mini mosaic. Full high backsplash is being very popular and result is being impressive. Enamoring Alpha Waves: Cambria Bellingham Countertop has also good backsplash ideas for your project. The designers, admiring how they work hard on gray matter, are very creative. The pictures of Cambria Bellingham White Cabinets Backsplash Ideas would be very helpful for your curious mind. Picture Credit: Sicora Design/ Build. Custom Made Dove White Cabinets with oil based enamel and Stunning Cambria Bellingham Engineered Stone Countertop rocks. Such a refreshing kitchen. Travertine Backsplash and travertine herringbone inlet are also big addition to this kitchen design. Encore series; 2×6 in Silver, Bravo mini crescendo silver and freight is very good choice. Dark hardwood floor and Bronze hardware complete the puzzle very well. Very admiring job. Cambria Bellingham Full High Backsplash and Countertop and Cambria Bellingham Island Top with Stainless Steel Appliance and Willow White Cabinets. Picture Credit: Oasis Design and Remodeling via Houzz., Cambria Bellingham with dark tile flooring and white cabinets and subway tiles . Yin and yang , lovely. Gray ceramic floor is named Pennsylvania Blue from Blue Stone Collection. Glossy white ceramic subway tile and white cabinets are flirting with the floor. Very inspirational white kitchen design. If you would like to take your turn and drop a comment about Cambria Bellingham White Cabinets Backsplash Ideas, please do not hesitate. Thank you for your collaboration.